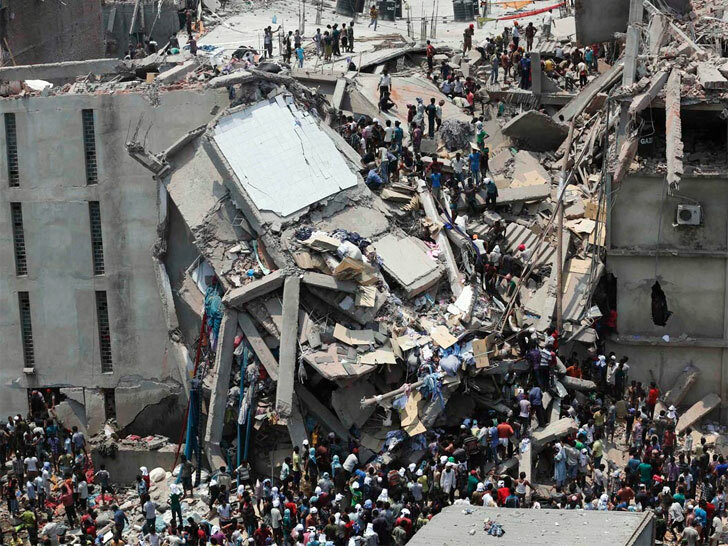 Could climate change have contributed to the Rana Plaza garment-factory disaster in Bangladesh last April? The concept may not be as outlandish as you might think, according to M. Shameem Siddiqi, former senior program director of The Asia Foundation in Bangladesh. Difficulties growing food due to worsening erosion and rising sea levels are driving greater numbers of people into Bangladesh’s cities in search of work. Lacking the wherewithal to dictate terms, they can’t help but “take any job they can find,” he told the Thomas Reuters Foundation..
Police said they ordered an immediate evacuation of the Rana Plaza complex after cracks were discovered in the structure on April 23, 2013. Although shops and a bank on the lower floors shuttered, the owners of the garment factories on the upper floors told their workers to return to their stations the next morning, threatening the loss of a month’s pay if they didn’t. 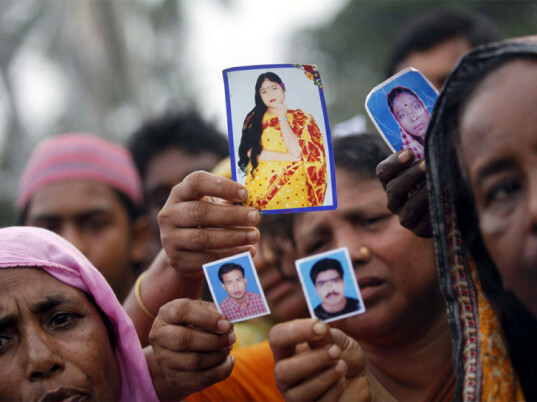 On April 24, just before 9 a.m., the building crumbled to the ground, killing 1,133 garment workers and injuring thousands more in the worst industrial accident in the South Asian country’s history. RELATED| Is Our Addiction to Fast Fashion Just Another Form of Terrorism? Other issues loom larger, of course: the untenable pace of our buy-and-toss consumption cycle, the race to the bottom by predatory fast-fashion brands, inadequate government oversight, and corruption all weigh heavily against an already afflicted system. But Siddiqi said that alleviating climate-change-related problems at home—whether by providing access to more salt-tolerant rice or slowing down erosion—could keep women from entering the garment industry and making these terrible decisions in the first place. “Climate change hits people’s ability to negotiate,” he added.